E-mail is used to transmit a promotional message to another potential customer. good example is shown in Figure 8.21 - the Subservient Chicken, originally launched to promote a new chicken meal by Burger King, responds to commands typed in by users. It has circulated around millions of users worldwide and is one of the most successful viral campaigns in terms of pass-along. This is a challenge for commercial companies since to be successful, it will need to challenge convention and this may not fit well with the brand. 1 Creative material - the 'viral agent'. This includes the creative message or offer and how it is spread (text, image, video). 2 Seeding. Identifying web sites, blogs or people to send e-mail to start the virus spreading. 3 Tracking. To monitor the effect, to assess the return from the cost of developing the viral agent and seeding. Godin (2001) writes about the importance of what he terms 'the ideavirus' as a marketing tool. He describes it as 'digitally augmented word-of-mouth'. What differences does the ideavirus have from word of mouth? First, transmission is more rapid, second, transmission tends to reach a larger audience, and third, it can be persistent - reference to a product on a service such as Epinions (www.epinions.com) remains online on a web site and can be read at a later time. Godin emphasises the importance of starting small by seeding a niche audience he describes as a 'hive' and then using advocates in spreading the virus - he refers to them as 'sneezers'. Traditionally, marketers would refer to such a grouping as 'customer advocates' or 'brand loyalists'. 1 Pass-along e-mail viral. 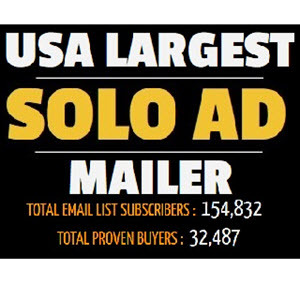 This is where e-mail or word-of-mouth alone is used to spread the message. This is classic viral marketing such as those showcased on the Viral Bank (www.viralbank.com) which involves an e-mail with a link to a site such as a video or an attachment. Towards the end of a commercial e-mail it does no harm to prompt the first recipient to forward the e-mail along to interested friends or colleagues. Even if only one in 100 responds to this prompt, it is still worth it. 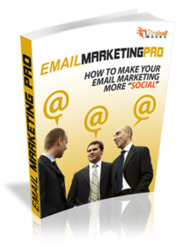 The dramatic growth of Hotmail, reaching 10 million subscribers in just over a year, was effectively down to pass-along as people received e-mails with a signature promoting the service. Word-of-mouth helped too. Pass-along or forwarding has worked well for video clips, either where they are attached to the e-mail or the e-mail contains a link to download the clip. If the e-mail has the 'WOW!' factor, of which more later, a lot more than one in a hundred will forward the e-mail. This mechanism is what most people consider to be viral, but there are the other mechanisms that follow too. 2 Web-facilitated viral (E-mail prompt). Here, the e-mail contains a link/graphic to a web page with 'E-mail a friend' or 'E-mail a colleague'. A web form is used to collect data of the e-mail address to which the e-mail should be forwarded, sometimes with an optional message. The company then sends a separate message to the friend or colleague. 3 Web-facilitated viral (web prompt). Here it is the web page such as a product catalogue or white paper which contains a link/graphic to 'E-mail a friend' or colleague. A web form is again used to collect data and an e-mail is subsequently sent. (option 3). In this case, there is a risk of breaking privacy laws since the consent of the email recipient may not be freely given. Usually only a single follow-up e-mail by the brand is permitted. So you should check with the lawyers if considering this. 5 Web-link viral. But online viral isn't just limited to e-mail. Links in discussion group postings or blogs which are from an individual are also in this category. Either way, it's important when seeding the campaign to try and get as many targeted online and offline mentions of the viral agent as you can. Discover New Email Marketing Methods And Uncover How to Make An Absolute Killing With Email Marketing TODAY.